Carmex Comfort Care Lip Balm Just $0.30 at Kroger! Here is another great deal you can score from Kroger this week! 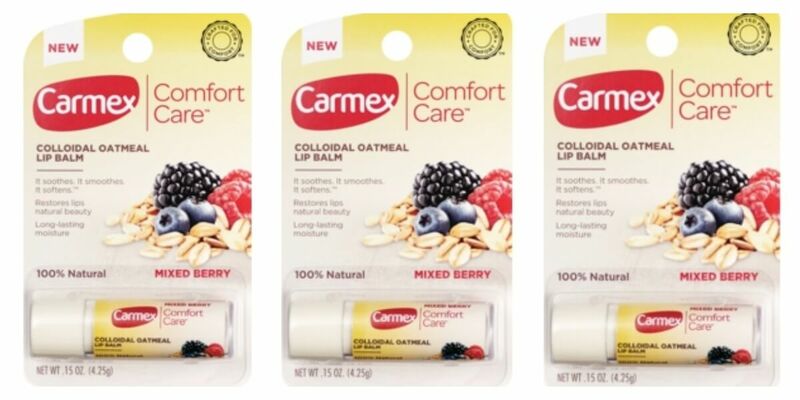 Through 5/21, Carmex Comfort Care Lip Balm is on sale for $0.75! When we use this $0.45/1 Carmex Comfort Care Product printable coupon, we can grab it for just $0.30! Be sure to grab some for your stockpile this week! Be sure to check out the rest of the Kroger Deals for the week before you shop. JCPenney Buy 1 Get 1 for 1¢ Bra Sale + Extra 30% Off Ambrielle Bras $4.90 Each! IK on Better Than FREE Santa Cruz Organic Lemonades at ShopRite! MisterBill on Better Than FREE Santa Cruz Organic Lemonades at ShopRite!